The pinnacle of foam fractionation design and technology, MRC® has once again redefined the protein skimmer. Created for public aquariums and aquaculture facilities, discerning aquarists quickly began implementing them into their large home systems. With numerous different sizes and flow rates available, nothing else comes close. 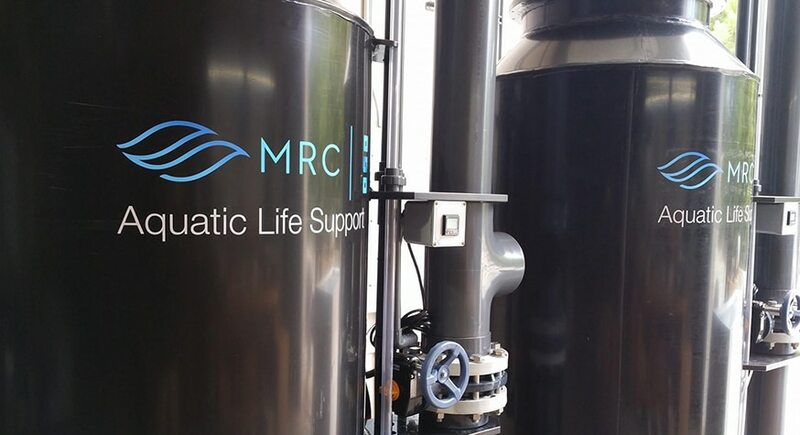 Equipped with the most advanced fractionation technologies pioneered by MRC®. Exclusive to MRC® iSeries Fracitonators, the industrial needle-wheel tech produces more foam using less power than any other competing product. From commercial aquaculture facilities to major public aquarium displays, iSeries™ Fracitonators are available for any sized system. The iSeries™ Fracitonator is the only industrial protein skimmer designed from the ground up; employing MRC’s needle-wheel technology and fabricated within the highest tolerances. We like things to be right and right the first time around. Our team will work with you to ensure every need and desire is addressed. System dynamics will be assessed before model selection giving you the best product for your specific application. As always, 100% American made. No more manually cleaning the collection cup. MRC’s triple-cone system sprays three distinct cones of water, targeting inside the riser neck, the collection cup walls, and the area in between. With no moving parts or large clunky wipers to interrupt the foam head, you not only don’t have to worry about a malfunction, but you don’t have to clean the cleaner! A dedicated ozone port gives you the ultimate control over your ozone dosing. Adjustments here do not affect your fractionation air draw whatsoever, unlike with competing models, putting more control in your hands. Pioneered by MRC®, it is the most advanced fractionation technology available today. It produces the finest quality bubble in the thickest density possible, resulting in substantially more surface area to attract and remove contaminants. All this at a fraction of the power draw. Exclusive to MRC, available only in iSeries fractionators. The only industrial fractionator that’s customizable. We’re happy to change the height, footprint, and inlet/outlet sizes and heights. We’ll even change the locations of the plumbing for those instances where you have to squeeze the unit into an existing space. All iSeries Fractionators are equipped with Asahi Butterfly valves, regarded as the best available. We use spears valves and plumbing for everything else. Prefer all Asahi valves? No problem at all; we’re happy to customize that for you. Easily access the collection cup with our screw top lid. Just a few turns and you have complete access inside for manual cleaning. The most efficient and advanced industrial fractionator on the market. Easy to operate for optimal results. Includes the revolutionary MRC® industrial needle-wheel & aspirator technology that mixes air with water and then further processes the mixture into a thick foam of tiny bubbles. The 24 Series is the smallest in the iSeries Fractionator line. The 60 Series is the largest in the iSeries Fractionator line.